“For me, I always thought to look attractive and healthy you needed that dark tan glow. To come to terms with being fare-skinned was rough. It’s weird looking in the mirror and seeing a lighter skin color looking at me. But what made me stop tanning was when I got cancer. People don’t think of the future consequences and how draining having cancer is. I stopped tanning because of the surgeries- the amount of surgeries and the amount of money and time. Every Friday I would have to get my skin checked and check out my stitches from surgery. Now I still have to go to the dermatologist every six months. I wish I took care of myself instead of having cancer be my wake up call.”– Joanna Confalone, 29. Joanna Confalone, a 25-year-old Northeastern grad student at the time, had just arrived at Wingaersheek Beach, Mass. to spend the summer weekend at her mother’s shorefront beach house where she planned to slip into her two-piece bathing suit for the next couple of days. She was excited to go back to work the following Monday with a real summer glow instead of having an artificial tan from Tanorama Suntanning Center, a Boston salon she visited about three times a week after work. But before stepping onto the beach, Confalone’s doctor called, and suddenly she decided to keep her bathing suit folded up in her travel bag for the entire weekend. 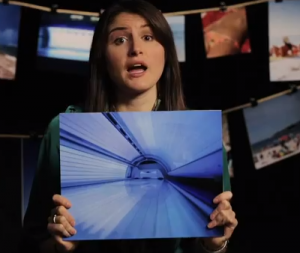 Confalone explains that using tanning beds caused her skin cancer. 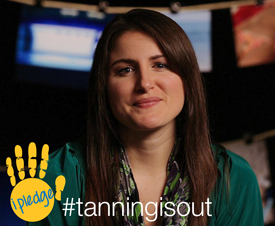 Like Confalone, over one million young adults in the United States ignore the potential consequences of using tanning beds because they often think they are invincible when it comes to getting skin cancer. In most cases, fake tanning is just another item to cross off on some of these fake-n-bakers’ daily to-do lists, along with going to school, work, and doing laundry. But statistcs show that, obviously, tanning is a tad bit extremely more dangerous than just folding freshly clean clothes from out of the dryer. These are just a few out of hundreds of statistics that prove how dangerous tanning beds are, and I could go on and on listing them out for you, but like I said before, many people choose to ignore these facts, and I don’t think it takes numbers to make people realize these extremely real consequences… I think it takes people to realize it when it’s too late. Unfortunately for Confalone, the consequences were real once they actually happened to her. Now, after five surgeries that left behind several four-to-seven-inch scars on her legs and back, Confalone is reminded every day of the deathly consequences of artificial tanning and is still paying for her tanning-bed ritual. Here’s a powerful video Confalone was in that was produced by the Melanoma Foundation of New England. These are real people, real stories, and most importantly, real consequences of that oh-so popular trend of fake tanning. I first met Joanna Confalone, a 29-year-old marketing and research associate at McCall and Almy, my freshman year in college when I was writing my very first magazine-style article about “tanorexic” college students. Prior to writing the article, I, myself, was a fake-tanner and had gone twice a week for about a year. After speaking to a real melanoma survivor, I realized that I needed to stop while I was ahead. The consequences are very real, I could have been another young adult getting treated for a deadly cancer. One thing that really resonated with me while I was interviewing her was when she told me that her experience with cancer made her realize that fake tanning was selfish because of the anxiety, stress and pain she caused her family and friends while fighting cancer. It made me think, yeah, even though tanning was my own choice and it directly affected me, it could be my own choices that directly affect the people closest to me, too. It’s one thing causing myself pain, but causing pain to others is something else. I would never want my mom to cry over the medical bills she would have to help pay for in order to keep me alive, or even worse… mourn because I’m no longer here. I stopped fake tanning because Confalone made me realize we have one body, pale or tan, and it’s not worth damaging it for a certain look. And we have one life, and it’s our responsibility to make it a healthy one. Fall has finally arrived and it’s time to store away the bikinis and bring out the winter coats. As lovely as it is to stay indoors on a rainy day and enjoy a steamy cup of hot cocoa, there’s just something about the summer sun that makes us all feel alive, literally. The sun not only provides a backdrop to our endless summer memories, but it also triggers the body to produce vitamin D, which is arguably the most important vitamin for human beings because it keeps us alive. This is because it plays a vital role in cardiovascular, gastrointestinal and bone health, along with many other metabolic processes, such as calcium absorption and neurological functioning. During the fall and winter seasons, there is no doubt that our exposure to sunlight is reduced because of weather conditions and warm wardrobe choices, and experts say that 90 percent of people’s vitamin D intake is from the sun, and only 10-20 percent is from their diets. This is dangerous because the lack of sun exposure during these hibernation months doubles a person’s likelihood of dying, according to a study published in The American Journal of Cardiology last year. Experts say that if there’s one vitamin people should take, it is hands down vitamin D.
The large study included more than 10,000 participants and 70 percent of them were vitamin D deficient, but when treated with a vitamin D supplement, the risk of dying dramatically decreased by 60 percent, suggesting that treating the deficiency definitely improves many cardiovascular outcomes, as well overall mortality. One way to obtain the vitamin is by eating food items such as milk, fish and eggs, but since vitamin D is only found in animal-based foods, vegetarians and vegans are highly at risk for vitamin D deficiency. Others who are prone to deficiency are individuals who are obese and those who work indoors during the day. But the problem is, although sunlight is the main source of vitamin D, sun exposure can be extremely damaging to the skin and can cause melanoma, and most doctors recommend the use of sunscreen when outdoors, which not only shields harmful UV rays, but also the vitamin D we need. 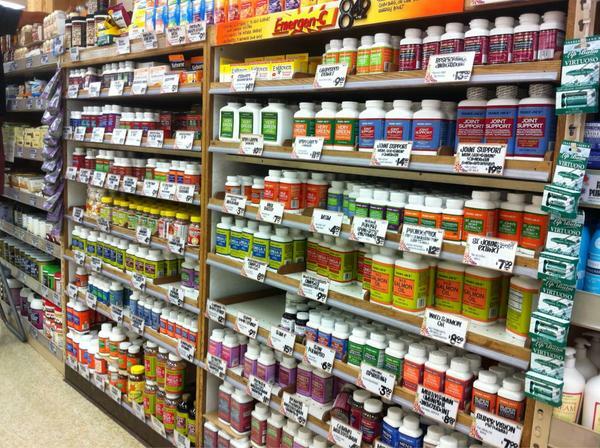 Vitamin D can be found at various drug stores. 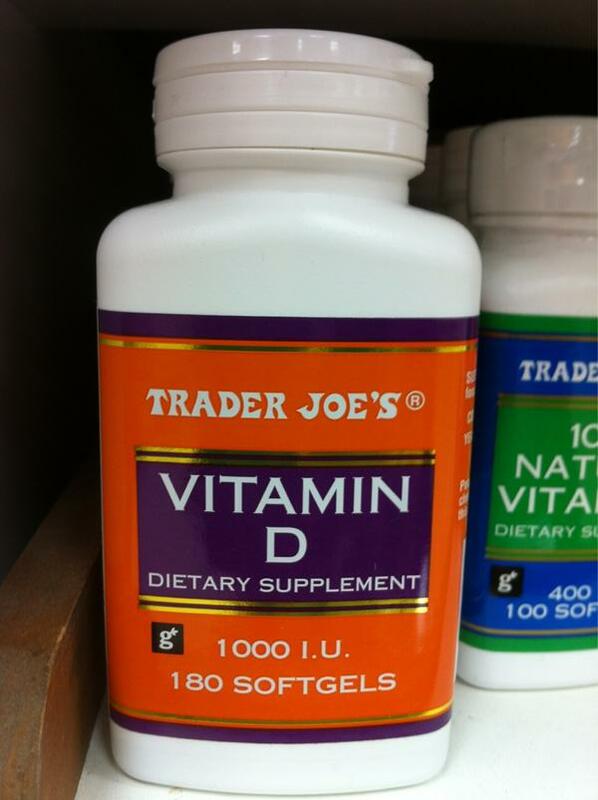 It is important to note that there are several different types of vitamin D, and experts recommend buying vitamin D2 or D3, which can be found at places like Trader Joe’s for $4.99. So think about it this way… vitamin D can stand for “vitamin death” if you don’t have enough of it. So if you’re not in the sun, you should be stocking up on vitamin D supplements, and the earlier you start, the better your health will be in the future, preventing many health risks as an adult. When you have bad posture, your neck and immediate upper back are the muscles that gather all the tension and are working the most when sitting with poor posture. When you do this, you don’t use the mid-back muscles and they become weak, and you need these muscles in order to obtain good posture. So just do the reverse of what you’ve been doing- stop using the neck muscles and start using the mid-back ones, and you’ll weaken the “poor posture” muscles and strengthen the “good posture” ones. When you’re siting at the computer shift your rib cage up. Imagine there is a string attached from the breast bone to the ceiling, and then the string tightens, so it brings the rib cage up an inch or two. (This, by the way, is where the rib cage should ALWAYS be). Stay in that position and pin the ribbon about chest level to your shirt. Then pull the ribbon down tight and pin it to the bottom of your shirt. Try to stay in good posture for 5-10 minutes at a time. Notice how much thinner I look with better posture. Slouching for too long can train the body to stay in that position, making you look chubbier than you really are even when you’re standing. With good posture, “you immediately make your mid section an inch or two slimmer,” says Novak. Shift your rib cage up an inch or two. Pull the shoulder back and then shift them down toward your lower back. Hold the contraction for a slow count of ten. Do this multiple times a day. You can be standing or sitting. For the most part, being in shape has lots to do with having healthy habits, such as eating right, exercising often and getting enough sleep. But many people tend to forget that having good posture is also an important healthy habit that plays a huge role in staying physically fit. 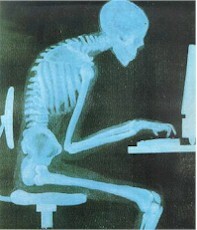 Having a poor-posture habit can compromise your overall health, just like having a poor eating habit would. It can lead to arthritis, cause digestion problems, and obviously, back pain, but it also can really affect the way you look, such as making your waistline 2 inches wider, and of course, making you have a hunch back. But a hunch back is inevitable when we’re older, right? No, absolutely not. The truth is, from skin care to weight-gain, most people wait until it’s too late to start improving themselves, and the answer to becoming the healthiest and best looking you in the future is having healthy habits now while your young. So don’t wait until you’re permanently slouching over to start focusing on your posture… start now! You won’t regret it when you’re 40. Posture experts and authors, Janice Novak and Mary Bond, gave us a few tips when it comes to sitting up straight. For more tips, you can purchase Novak’s book, Posture, Get it Straight!, and Mary Bond’s, The New Rules of Posture: How to Sit, Stand and Move in the Modern World. A) Be aware of alignment! The body’s joints always need to be aligned, otherwise, the body cannot function properly, especially when it comes to movement and other things like digestion. 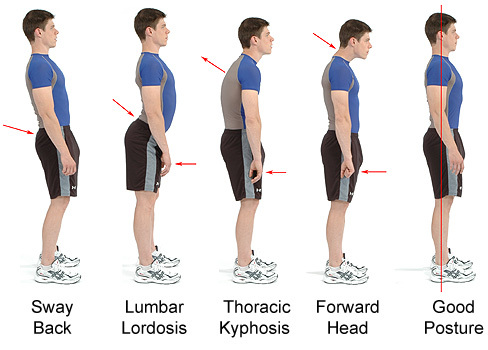 Look at the “lumbar lordosis” picture above for an example. Also, standing with your arms crossed can be equally as damaging. Technology has changed our lives in countless of ways. It’s changed the way we communicate, transformed the way we work and it even exposed us to new forms of entertainment. From cell phones, to laptops, to driving cars, technology has revolutionized our modern-day lifestyle, and our posture is evolving right along with it. Poor posture is the number one cause for back and neck problems and statistics show that 80 percent of Americans will suffer from back pain in their lifetime. Experts say a large part of today’s modern posture has to do with the evolution of technology and the inactivity that it demands. Before technology, sitting down wasn’t something people wanted to do or even could do often – work meant hunting, traveling meant walking and entertainment was an outdoor activity. But in today’s world, most of our daily duties, such as our jobs and transportation, require us to sit, which is damaging to our back bones. “What’s happening is that computers, cell phones and all this technology that we have makes people sit abnormal and it makes people lose the curvature of the neck,” says Dr. Matthew DeMoss who has been a chiropractor for 15 years and is currently practicing at DeMoss Chiropractic in Orange, Calif.
Laptops, experts say, are the biggest posture destroyers because of the way they force the back and neck to curve. Having a hunch back isn’t so much an elderly problem anymore. Statistics show that kids as young as middle schoolers are now going to doctors for back, shoulder and neck pain associated with bad posture. It used to be that once people hit their 40s or 50s, they would start to round over, but unfortunately, kids who were born in the year 1990 and after are experiencing the old-grandma symptoms. According to Novak who also teaches posture workshops and seminars in Minneapolis, Minn., poor posture throws all your joints out of alignment, and is most dangerous among young children whose bones are still growing because it will result in back and neck problems as they get older. “[Poor Posture] makes it so your joints no longer fit together the way they’re supposed to, and this is what causes some muscles to work really hard to stabilize the joints while other muscles just get weaker and weaker, ” she says. For 24-year-old, Alisha Albinder, visiting a chiropractor has been the norm ever since she was 14. At a young age, Albinder, 5’8, was always the tallest amongst her friends and often slouched to fit in. She admits, she was never really aware of her posture until her back pain became unbearable and was constantly hurting throughout the day. Experts say the head weighs 8-10 pounds, and for every inch a person’s head goes forward, 8-10 more pounds of pressure is being put on the spine, and this can affect the nervous system causing chronic pain, according to a new Jordan Valley Innovation Center study conducted earlier this year. Poor posture can also make you look fatter than you really are. 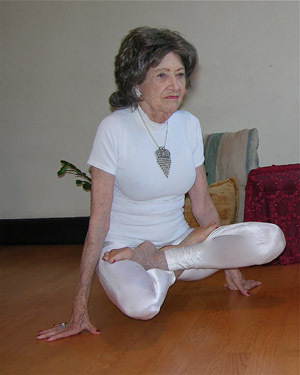 “When you slump forward, you’re pressing on all of your organs in the body and they have no where to go but press down and out against your belly muscle, and that immediately makes your middle section a couple inches wider,” says Novak who adds that the organ compaction also causes digestion and circulation problems. Along with migraines and unfavorable appearance, there are other disadvantages of bad posture when it comes to your overall health. It lowers breathing capacity as much as 30 percent and it also puts you more at risk for injury when you are active because the joints are not aligned. Studies have also shown that bad posture affects the way people perceive you, often judging you as weak or lacking confidence. “Posture is way more important than people even realize,” says Novak. Continually practicing bad posture becomes a “vicious cycle,” she says, because the muscles needed for good posture continue to become weaker and the muscles used during bad posture become tighter, which gradually results in a more exaggerated hunch. Most people determine how skinny they are by stepping on a scale, and if it’s a low number, that means they’re a super model. But to tell you the truth, that’s just an optical illusion. The number you see on the scale tells you jack squat, and to be frank, it doesn’t really matter. Believe it or not, it might be better to see a higher number on the scale than lower. 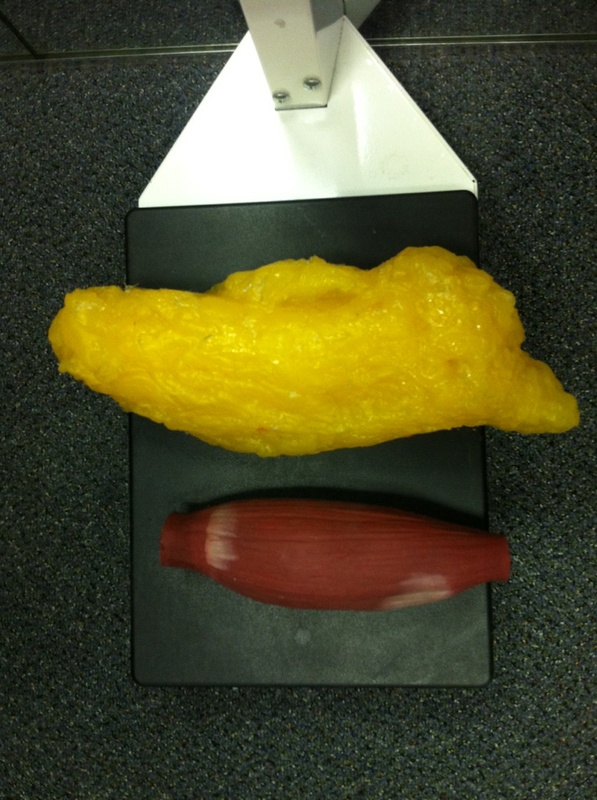 This is because muscle is heavier than fat. Plus, fat takes up more than half the space than muscle does in the body. Okay… so she’s not really my grandma, but you get the point. Usually, after a women turns 30, she hates to reveal her actual age and might even lie saying she’s 10 years younger than she really is, but for Tao Porchon-Lynch, she flaunts it. At 93-years-young, Lynch, who is originally from Pondicherry, a French colony in India on the Bay of Bengal, is proud to reveal her age and proves the cliche that age is really nothing but a number. 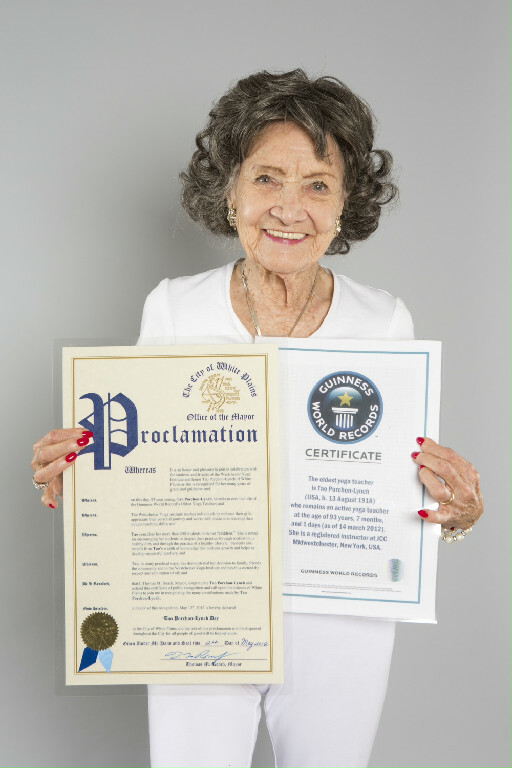 A couple months ago, Lynch was dubbed as the World’s Oldest Yoga Teacher by the Guiness World Records and has been practicing yoga for more than 70 years and teaching it for over 45. She’s also has trained and certified hundreds of yoga instructors since she founded the Westchester Institute of Yoga in Westchester, N.Y. in 1982. 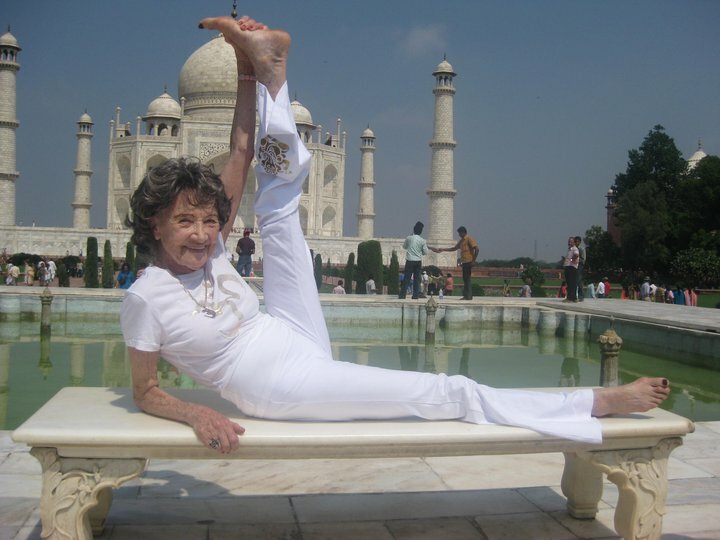 She is currently teaching regular classes at various Westchester studios, across the country and even around the world, inspiring people not only to use yoga as an anti-aging regimen, but to help people tap into their human potential and appreciate life, just like she does. “Feeling the energy of life within me opens the door to appreciate the life force behind everything in this universe,” she told me. If this isn’t a perfect if-my-grandma-can-do-it-you-can-do-it example, then I don’t know what is. I caught her before jetting off to teach in Montana, and I was able to ask her a few questions that will help us on our journey to becoming healthy 93-year-olds one day. Hopefully you feel inspired to get up and start being healthy! 1) It seems that some people just can’t bring themselves to start exercising. As the oldest yoga teacher in world, what are your suggestions for people who are just not motivated to stay healthy? How have you stayed motivated all these years? Motivation is inside of you. Learn to breathe and you will open up the door for what you want to do… Just get in tune with your inner self. If someone is too lazy to use the life force to activate the body, tune into the inner energy of the breath. Know that each action of your heart is the inner life force. No! I’m never thinking of being “motivated!” Since a child I wanted to live every moment of my life. 2) When did you start exercising? When I was young I watched some boys doing yoga and it interested me. I decided if they could do it, so could I. 3) How has exercise benefited your health over the years? What do your doctors say about your health? Are they impressed? I don’t believe in checkups! 4) Sometimes people do get motivated to exercise and go on a work-out spree for a good three months, but then they fall back into their same old lazy rituals and gradually fall back into the exercise-less lifestyle. What are some tips when people want to give up? I don’t think of yoga as exercise, but feeling how wonderful it is to get new energy into my life. It is the linking up of body, mind and spirit. Watching the dawn makes everything in nature pulsate with our life. Renewal of the life force makes us aware of it. I start the day knowing there is no such word as “can’t do something,” only the verb “to be able.” When you get up in the morning know this is going to be the best day in your life. 5) Along with exercise, how healthy do you keep your diet? What does it consist of? I don’t eat too much. I eat slowly. I eat mostly fruit, fruit juice and green vegetables. I like cooked greens as well as salads. I’ve never liked large portions of any food. I never eat meat because I can’t kill anything. I think of the wonder of the earth and how it along with the sun and rain provide me with food. People say I eat like a bird. Well, that’s a good example how to feed the body. In the U.S. we eat too much which creates a heaviness in the body and stifles the energy. 6) As a yoga instructor, are you able to do all the yoga poses? Are you limited at all? I have a hip replacement in one hip and a long pin in the other leg. The pin prevents me from doing some yoga poses. Don’t spend your time thinking about what you can’t do. I don’t let pain take over me and I know if I keep using my limbs and let the power of the universe “breathing” be my guide, there isn’t anything I cannot do. 7) Everyone has a weakness when it comes to food. What’s your guilty pleasure? Ice cream, milk chocolate and wine. 8) What are your top 5-10 motivational tips for people to start getting healthy? Look for the wonder of health being unnerved in our bodies and mind. Know the secret of life dwells with every breath we take. Live, live, live. Don’t waste your life restricting. Look how dawn awakes nature and makes the darkness and ignorance of night fade away. Let your body feel the freshness of the energy of a new day. Open up to help your body and mind become renewed. Don’t allow it when you are so young to become stagnant. There are so many wonderful things to do and so little time to do them!!! 9) You are a perfect example of how people can exercise at all ages. What would you tell a lazy 20-something-year old who doesn’t think exercising is important? And what would you tell a 50-year-old who says they just can’t push their body to do it? It’s important to keep the body moving at any age. Stagnant muscles cause stagnant minds!!!! If working out isn’t your thing or you simply can’t make enough time for it, don’t worry! Jogging regularly up to just one to two and half hours a week can add between five to six years to your lifespan, according to a Danish Study released in April of this year. And if you hate sweating, that’s okay, because the study also revealed jogging at a slow and steady pace is more beneficial to your health than jogging at intense speeds. This is because experts say it’s less work for the body and doesn’t wear it down as fast. It may seem like less work, but the research shows that repetitiveness in exercise is key. Researchers observed about 20,000 Danish men and women ages 20 to 93 since the 1970s, and the participants of the Copenhagen City Heart study had been consistently jogging for an average of 10 years. Compared to non-joggers, it is estimated that the age of death among male and female joggers were reduced by 44 percent. He says this is why. Low blood pressure makes it easier for the heart to pump blood because the blood is not as forceful against the heart’s arteries, which lowers your chances of a stroke and heart disease. And a low heart rate is good for the body because it requires less energy for the heart to function. The heart muscle works less to provide more and it makes each heart beat more efficient. Repetitive jogging keeps the heart in shape, says Dr, Adolhoda, and in turn, keeps you in shape. Another way jogging keeps you in shape is by boosting your metabolism, which means we can eat more! So don’t think that just because you had yogurt and oats for breakfast you’re doing your body any good, because if you’re not active, eating less can mean gaining more. Dr. A compares a lazy coach potato to Michael Phelps. 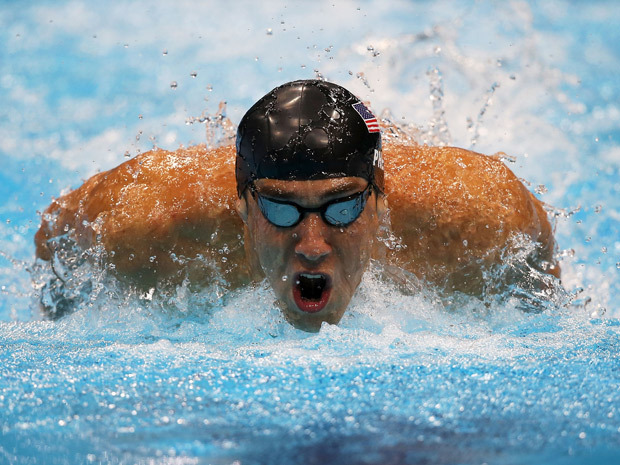 Although he’s not a jogger, he says regular exercise requires more food intake and it has been reported that, for Phelps, he eats roughly 8,000-10,000 calories a day. Sounds like my kind of diet. Experts have even suggested that the exercise can also prevent other illnesses… like the “C” word. This is because jogging regularly trains you to become a better breather, delivering oxygen properly to the muscles and tissues in the body. Besides the healthy heart and the fast metabolism, jogging makes you happy. Seriously, it gives you a high that can be addicting. So just get started because once you start, you may never stop… or die! JK, but really. “Can I have a BLT? Hold the L and the T… oh and extra B please.” That was the typical sandwich I’d order when I went out to eat. Growing up, I only liked three groups of food: noodles, candy and chicken fingers. I didn’t like food- or I was just scared of it. Food neophobia is the fear of trying new foods and was the root of my picky-eating habits and it prevented me from enjoying dinners with my family. One of my mother’s famous dishes was the tostada, which was a large chip with ground beef, onions, salsa, sour cream, lettuce, beans, rice and corn topped with melted cheese. My version of it… the giant chip with just cheese. It was a mental thing. I was scared of the beef, it looked like a pile of rabbit pellets and I didn’t even have to be near an onion for it to make me cry. “Hay que nina mal criada,” was a phrase meaning “oh what a girl with bad manners” that my abuelita (grandma in spanish) would attack me with. She would blame my mother for my picky habit because she never forced me to eat anything as a kid. But my mom did something worse. She’d trick me instead. The solution was renaming every food I didn’t like as either French fries or chicken. Carrots were called orange French fries and all meats fell under the chicken category. For years, my mother convinced me that the clams in clam chowder were actually “chewy chicken.” What’s embarrassing is that it wasn’t until fifth grade that I realized what was really in the soup… and that my mom was evil. But this whole thing wasn’t just a mental problem. I like the “safe” foods because some foods are just dangerous to my stomach. I remember the traumatizing time I tried pineapple for the first time. Let’s just say I spent a lot of quality time with my toilet that day. But this fear became a bigger issue in my life. A home-cooked meal at a friend’s house was embarrassing and triggered anxiety. How do I politely turn down their food? How do I explain I don’t want tomato sauce on my spaghetti because I’m afraid of getting diarrhea? And socially it was hard because I couldn’t enjoy things like sushi with my friends. But what made me realize I needed to stop being picky was my freshman year in college where I didn’t have to eat those disgusting, soggy, vegetables my parents would serve me. All I ate was pizza or chicken fingers for lunch and chicken and rice for dinner because my abuelita wasn’t there to force-feed me and my mother wasn’t there to manipulate me. I was becoming malnourished. My chicken-and-rice diet started to become a factor to my hair-loss. 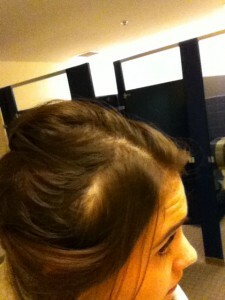 My hair was starting to fall out in chunks in the shower and caused multiple bald spots on my head. Instead of gaining the “freshman 15” I lost the freshman 15… and had about 15 hairs on my head (that’s a little dramatic but that’s how I felt! I went from long and thick to mid-length thin hair). 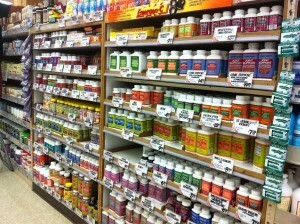 My safe foods proved to be not so safe, and began to affect my health and social life. I needed to make changes to my diet. After all what was I even afraid of? Most of the food I “didn’t like” I had never even tried. Since then, I’ve picked up cooking as a hobby to start expanding my food horizons. Now some items on my gross-foods list have moved to my okay-these-are-edible list. Like onions. Was I crazy? I think because I deprived my taste buds of onions for all these years that now I have an obsession with them. In eggs, sandwiches, salads, everything. They’re so amazing. My friends make fun of me because on sandwiches, people usually order extra cheese or extra tomato, but me? Na, I order extra onions 🙂 I’ve started to carry extra gum in my purse because where there are onions, there’s bad breath. And if I were missing out on onions, what else was I missing?!?! Now, a couple of years later, my hair is back and healthy and I can actually order food that isn’t on the kid’s menu. Now that I’ve actually tried shrimp, sushi, cucumbers, salads, guacamole, salsa, vegetables and more, I’ve discovered I really like them- even love them. My motivation to be healthy? Eat right to get that beautiful hair back! 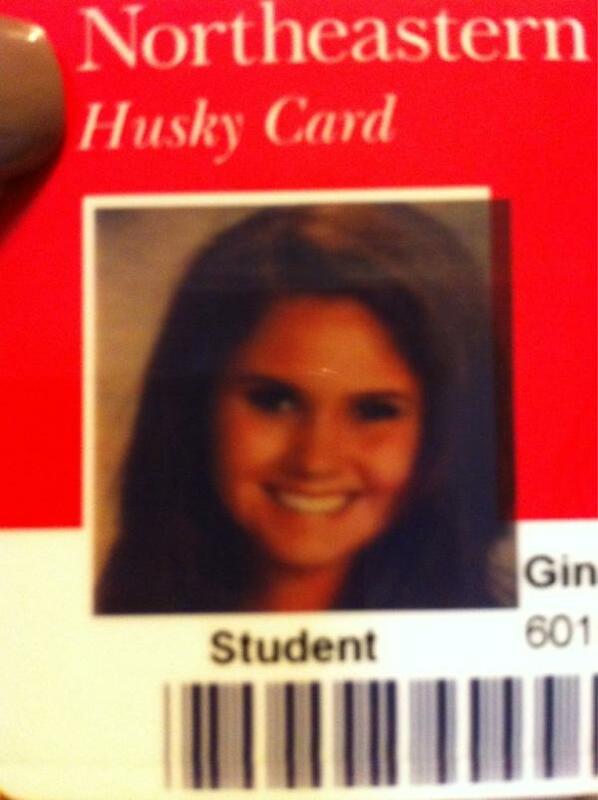 This was my high school senior photo used on my student ID card in college. 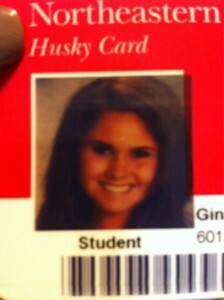 My friends would look at it and laugh saying I looked like a giant hair ball in high school.